Even if we ignore all its other achievements — and there are many — the very survival of the Islamic Republic of Iran, 40 years after the victory of the Islamic Revolution is a remarkable achievement. This has occurred despite unremitting hostility, sabotage, and aggression from a vast array of internal and external enemies that have spared no effort to destroy the Islamic Republic and the Islamic system of governance. Of this, the people of Iran led by muttaqi and self-sacrificing leadership can be truly proud. Faced with similar or even less serious challenges, any other state or polity would have collapsed long ago. Not so the Islamic Republic. Instead, the people and leadership of Iran have made enormous sacrifices to maintain their independence and dignity standing up to virtually the entire world. It is not easy; an entrenched unjust global order whose tentacles have spread into all international institutions does not cede control easily. Similarly, with minor exceptions, most countries are also beholden to the predatory powers to serve their own narrow interests. Rule of law and principles of justice are meaningless expressions uttered from international platforms to camouflage the barbaric practices of the imperialists and Zionists and their puppets worldwide. Maintaining one’s independence, especially based on Islamic principles, and standing up for truth and justice require enormous sacrifices. This is what Islamic Iran has done for 40 years. It has done more: the Islamic Republic has taken great strides in many vital fields despite facing seemingly insurmountable challenges. For instance, on January 15, Iran launched two satellites into space using its indigenous technology. It has improved its missile systems for self-defence. Islamic Iran leads the Muslim world in scientific research and its scientists have published peer-reviewed articles in leading scientific journals. On the geostrategic level, Iran is now the preeminent power in the region. It has achieved all this despite 40 years of illegal sanctions imposed by the international thug and bully — the US — and its henchmen and puppets in the world. To consider how far Iran has progressed, let us look at the history of the Islamic Revolution. 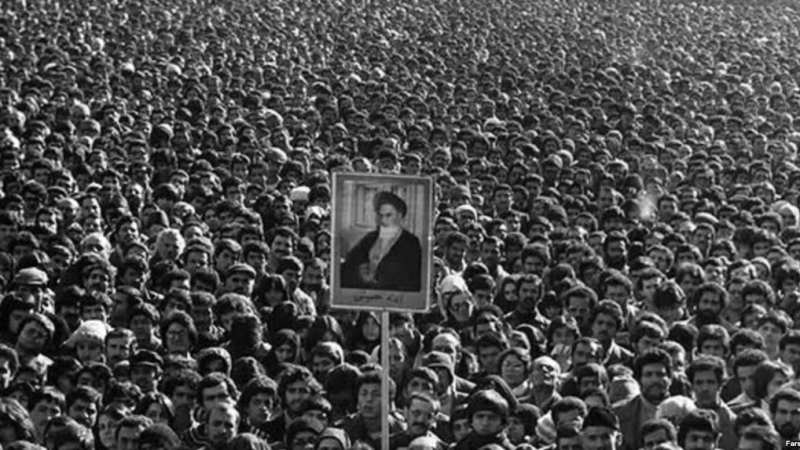 In 1978–1979, the year of the revolution, the world was divided into two distinct camps. The Western camp was led by the US (First World) while the former Soviet Union led the eastern camp (Second World). The victors of the Second World War had imposed this global order following the disastrous war that resulted in 60 million deaths. For the vast majority of people in the world, this global order has been an unmitigated disaster but since it serves and continues to serve the predators’ interests, it has remained entrenched. The Second World War, fought primarily in Europe (although the US dropped two atomic bombs on Japan, a non-European state, resulting in millions of deaths), left various colonial powers greatly weakened. Britain, France, Germany, Belgium, the Netherlands, Italy, and Portugal among others were no longer able to keep control of their colonial possessions in Asia and Africa. That even such two-bit European players as Belgium and the Netherlands, little larger than city-states, had colonial possessions is reflective of how weak the rest of the world had become. For the colonized people of Asia and Africa, the Second World War turned out to be a blessing in disguise. With the weakening of the European colonial powers, people in Asia and Africa gained independence but it was nominal. The newly emerging states were also left with little choice but to join one or the other bloc for sheer survival. The two blocs were like vast prisons from where escape was virtually impossible. Countries existed as vassals of one or the “superpower.” True, there was the so-called non-aligned movement but this was little more than a label of convenience. When the Islamic Revolution started, Iran was completely under US control. It is interesting to note that even as signs of discontent against the Shah’s regime were becoming visible, the US continued to support him. On a visit to Tehran, then US President Jimmy Carter described the Shah’s regime as an “island of stability.” At a state banquet on December 31, 1977, Carter toasting the Shah said, “Iran, because of the great leadership of the Shah, is an island of stability in one of the more troubled areas of the world. This is a great tribute to you, Your Majesty, and to your leadership and to the respect and the admiration and love which your people give you” (emphasis added). Anyone with even a rudimentary knowledge of the state of affairs in Iran would have found these words totally detached from reality. Within a year, Carter’s “island of stability” had been swept away by the tidal wave of the Islamic Revolution. In praising the Shah, Carter was merely confirming that he was a loyal puppet and the US would keep him in power. The CIA had a huge presence in Iran. The Shah’s notorious secret service Savak was everywhere. It had such a vast network that people did not trust even their close relatives. Tens of thousands of people were imprisoned and tortured mercilessly. In such an oppressive environment, the thought of success of the Islamic Revolution appeared remote. After all, the West had neutralized not only Christianity but it thought Islam too had been reduced to the same level: a set of rituals for individual salvation without intruding into the realm of state and politics. The West’s assumption was not entirely wrong; it was based on the sorry condition of Muslim states. 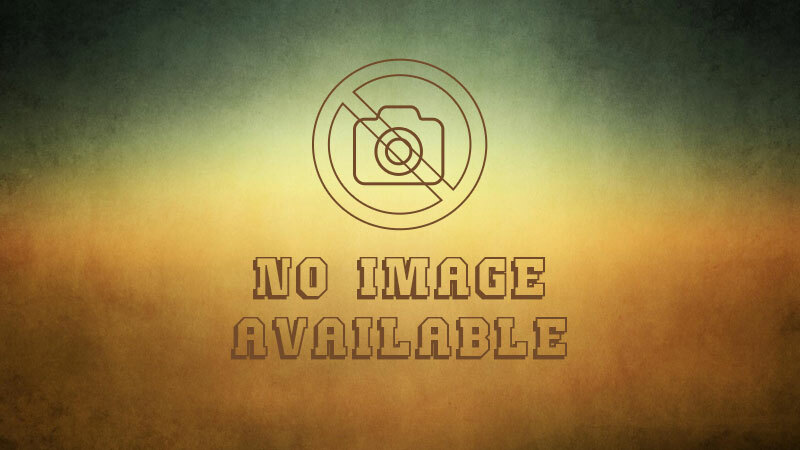 Pakistan (officially called an “Islamic Republic”) and Saudi Arabia (claiming to be “governed by the Qur’an and the Prophet’s Sunnah”) offered ready examples. 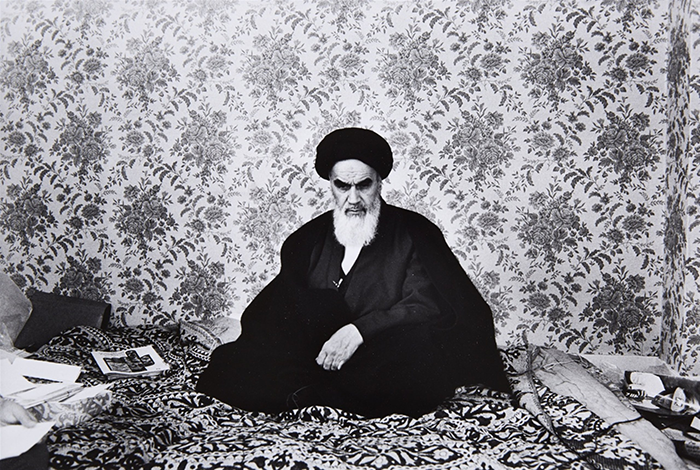 What the Western policymakers and think-tankers had ignored vis-à-vis Iran was that the movement led by Imam Khomeini was entirely indigenous and rooted in purely Islamic principles. It was not contaminated by Western political thought or influenced by its ideas that bred an inferiority complex in non-Western people. There was also widespread belief among the educated elite in newly independent states that they could only survive if they belonged to one or the other camp. This is where Imam Khomeini broke new ground. He did more: he overcame the inertia in Shi‘i political thought that had for centuries held the view that injustices in the world would end only with the appearance of Imam Mahdi (a). Imam Khomeini posited that Muslims, especially the ‘ulama’ must abandon their quietism and struggle to prepare the ground for Imam Mahdi’s arrival. Long before Imam Khomeini came back to Iran to lead the new Islamic Republic, he was already committed to the realization that the world could only be misled by the prevailing superpowers and their ideologies, as they were running their programs of institutional injustice counter to the system and values Allah had chosen for humanity. And he broadly communicated his views, not only to the emergent revolutionaries in Iran, but to anyone else who would listen in the Muslim world and beyond. Apparently, enough of the people in power were listening, for none of their proxies in the Muslim world permitted the Imam to migrate there, forcing him to go to France until his final and triumphant return home. In a series of lectures both in Iran and then in exile in Iraq, the Imam enlightened the people to take charge of their Islamic responsibilities. Titled Hukumat-e Islami (Islamic Government), these lectures were later published in English under the title, Islam and Revolution: Writings and Declarations of Imam Khomeini, edited and annotated by Professor Hamid Algar, the leading authority on Iran. In these lectures, the Imam outlined his reasons for the necessity of establishing the Islamic government and the rule of walayah al-faqih (rule of the jurist consult). Muslims sincere about understanding the nature, purpose, and ethos of the Islamic Revolution should study this book carefully. 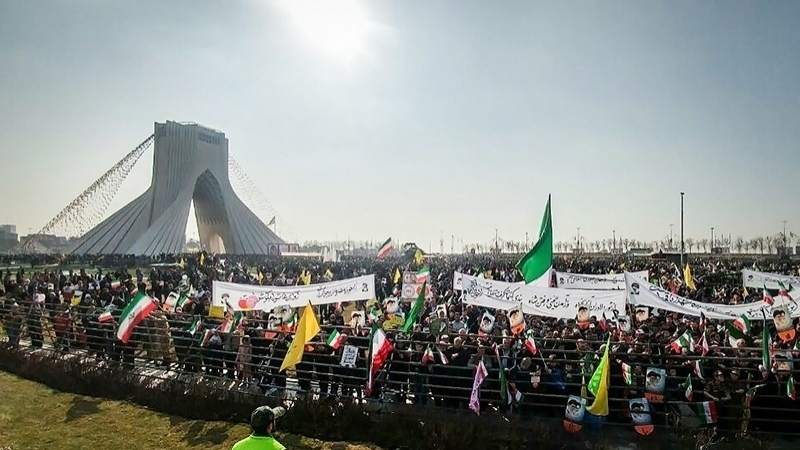 Once the protests started in Qom in January 1978, they spread to other cities heralding the birth of the Islamic Revolution. It quickly gained momentum despite the regime’s brutal crackdown. Shooting unarmed protesters was the time tested method to crush dissent but the protests remained peaceful throughout the year until succeeding in February 1979. Referred to as Deh-e Fajr (“Ten Days of Dawn”), it takes its name from the Qur’anic ayat, “Wa-al-fajr, wa-layalin ‘ashr” (89:1–2). Despite the regime’s indescribable brutality, the people’s resolve remained firm. This was primarily because of the Imam’s charismatic personality, leadership qualities, and foresight. At every critical juncture, the Imam provided guidance that proved invaluable. On January 16, 1979, the Shah fled the country leaving behind a puppet regime whose authority was confined to his office. Soon thereafter, the Imam arrived in Tehran from Paris and went straight to the Behesht-e Zahra Cemetery to pay homage to the tens of thousands of martyrs of the Revolution (most estimates put the number of people killed by the regime’s forces at 80,000 including women and children!). In his address to the massive crowd, he mentioned that the Shah’s so-called modernization had given us a graveyard full of martyrs. With the Imam back in Iran, remnants of the regime began to crumble. The first ten days of February proved crucial. The Imam appointed a new government ignoring the regime left behind by the Shah. On the morning of February 11, that regime also crumbled. The revolution had finally succeeded in overthrowing one of the most oppressive regimes in contemporary history. 4. the social order acquires the confidence and the ability to deal with the external world on its own terms” (Zafar Bangash, editor, In Pursuit of the Power of Islam: Major Writings of Kalim Siddiqui, London, 1996; p.136). True, there are some Muslims, perhaps many that are still not fully aware of or appreciate the importance of the Islamic Revolution. This is largely the result of relentless anti-Iran and anti-Islam Western propaganda beamed at the behest of their corporate or political masters. There are, however, other reasons as well for some Muslims’ antipathy toward the Islamic Revolution. Part of this has to do with long-entrenched sectarian prejudices that are constantly highlighted by illegitimate regimes to divert attention from their own failures. Unfortunately, most Muslims’ understanding of Islam is quite superficial; they are generally unaware of the Qur’anic message or the Prophetic Sunnah and Sirah. The overwhelming majority of Muslims, even Arabic speaking ones, are woefully unaware of what Allah (swt) says in the noble Qur’an. This is both the result of the decline of Muslims as well as the secularization of Islam. A state becomes Islamic when the legal system of Islam is implemented in that society as a natural outgrowth of its moral commitment to Allah (swt), His command, and His counsel. Only, then is it able to deal with its enemies on its own terms, not those dictated by others. Further, the Islamic executive, leadership, and temporal command instrument, otherwise called the state, is an essential requirement for establishing Islam in society, as exemplified by the noble Messenger (pbuh) when he migrated from Makkah to the prototypical Islamic State of Madinah. Even those Muslims who understand the necessity of the Islamic state insist that unless it conforms to their peculiar fiqhi understanding, then the state is not Islamic. This is what has prevented some “Sunni” Muslims from appreciating the significance of the Islamic Revolution in Iran. They simply dismiss it as “Shi‘i,” as if Shi‘is are somehow not Muslims (nastaghfir-allah). It may also be appropriate to mention the role of Crescent International in support of the Islamic Revolution. Throughout the year of the Revolution and since its success, the West’s poisonous propaganda has been unrelenting. Every attempt has been made to distort its reality and to create doubts in the minds of people, especially Muslims. This was to be expected since the West had lost a favorite client. The current US President Donald Trump (right), then age 38, visiting Tehran along with US actors, Jack Nicholson (left) and Warren Beatty in 1978. Trump was planning to open a casino (one of the reasons he has close ties to today’s casino king, arch-Zionist Sheldon Adelson) and nightclub in the north of Iran, but his plans were scuttled because of the instability leading up to the culmination of the Revolution, which would occur the following year. One need not guess over Trump’s decades-old vendetta against Islamic Iran as it prevented him from expanding his criminal business empire (read that, his mob empire) in areas that would have been free and clear of US taxation. Not only did the new Islamic leadership reject his “business” initiatives in the country, but it took a principled stand against the predatory and rapacious practices of the American business elite, which was used to being accommodated with all sorts of luxuries and prostitutes during the proxy reign of the Shah. Further, Islamic Iran had openly challenged the oppressive exploitative global order and defeated it in one geographical area. Left unchecked and unchallenged, its influence would spread. Despite massive anti-Iran and anti-Islam propaganda and sabotage, Islamic Iran has made enormous strides. Its influence has spread both at the intellectual as well as political and geostrategic levels. 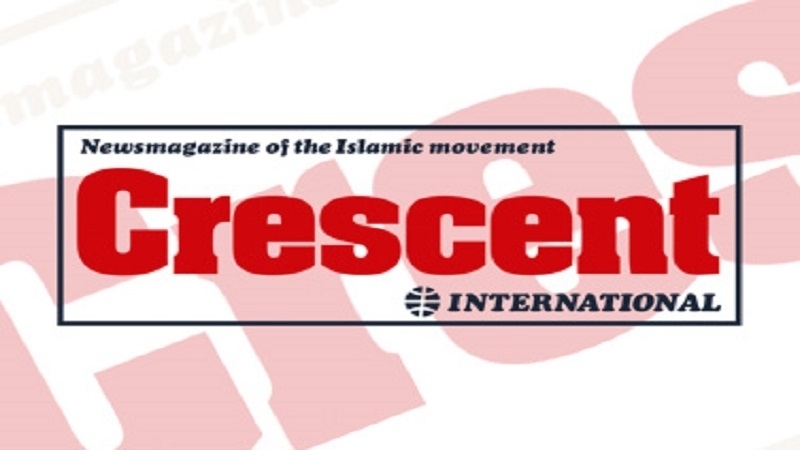 We in the Crescent International can claim some credit for acting as a bridge between Islamic Iran and the wider Muslim Ummah, indeed the rest of the world or that part of it where people are not totally blinded by Western propaganda. It must also be mentioned that the resilience to survive these serious challenges came from one source: the Iranian leadership and people’s reliance on Allah (swt) and Allah alone. This is called the power of Islam. It needs elaboration. Every system is based on certain ideas, suppositions about human nature, and values (sometimes, these values are morals, while in other instances, material considerations). The former Soviet Union and its satellites were based on Marxist ideology. The West has pursued capitalism. Muslims have the Islamic system of governance but only one country — Iran — has truly adopted it in contemporary history. Communism has long been abandoned while capitalism is on its deathbed because it has deepened global inequalities both within and between societies. This has resulted in immense suffering everywhere. The world is a deeply troubled place today. If we focus on the Muslim East (aka the Middle East), the picture is not only dismal it is deeply problematic. There is hardly a country that is free of turmoil, degradation, and dysfunction, whether internally generated or externally imposed. Most regimes are also totally subservient to the imperialists and Zionists and exist at their mercy. Islamic Iran, on the other hand, despite four decades of illegitimate Western sanctions, has not only weathered these challenges but has emerged much stronger. Others states, such as Iraq, that were subjected to similar sanctions, have suffered grievously, resulting in mass poverty, starvation, and the death of hundreds of thousands of people. In Iran’s case, far from bringing it to its knees, the leadership has used sanctions as an opportunity to develop a resistance economy, as repeatedly stressed by the Rahbar, Imam Seyyed Ali Khamenei. True, not every segment of the government machinery has followed this advice thereby resulting in problems for ordinary people. These, however, pale into insignificance compared to the very serious problems even some Western countries — France, Britain, and the US — are facing. The neo-liberal world is now in terminal decline, and in all cases, the problem is its obeisance to capitalism — a system that thrives on wealth inequality and class indignation. The US is on the run in the Muslim East. Can the Zionist regime be very far behind? It also needs emphasizing that the Islamic Republic is not a perfect model of an Islamic state. There are good and not so good people in the government and state machinery. What is indisputable is that the overall ethos is Islamic and that the establishment is totally committed to and sincere about Islamic values and principles. The Rahbar is a modicum of wisdom and taqwa; he has been a truly worthy successor of Imam Khomeini. Under his leadership, the resistance front has emerged stronger and is able to successfully challenge the oppressive powers. This is just as evident in Syria as it is in Yemen and now increasingly in Palestine. The days of imperialist and Zionist hegemony are over. Their nervousness is evident from the shrill propaganda they indulge in against Islamic Iran these days. Their client regimes are also destined to the dung heap of history, sooner rather than later, insha’allah.